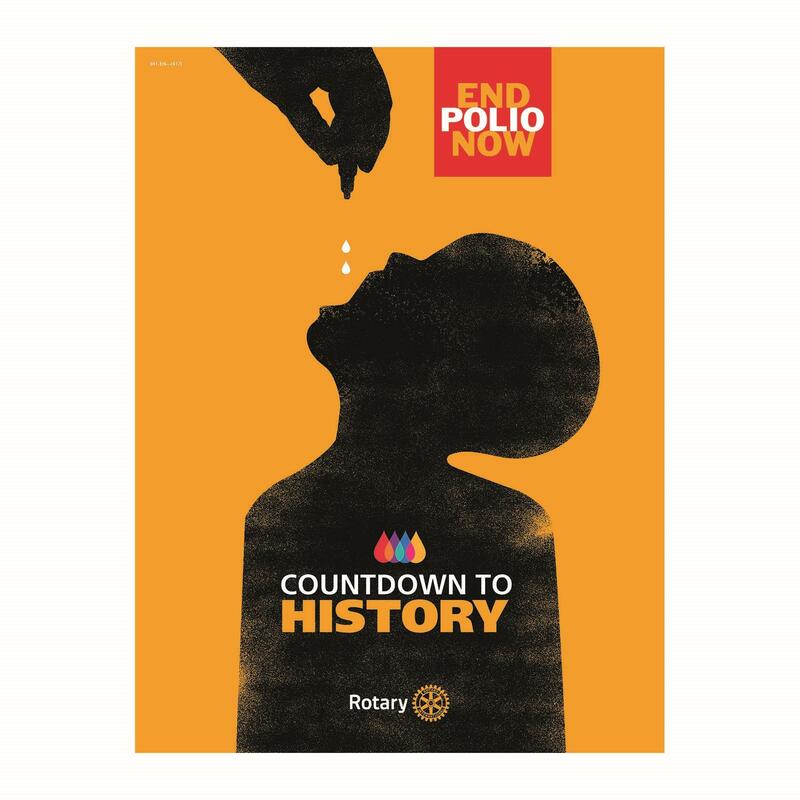 Rotary's new Polio Campaign - Countdown to History! We are so close that we are now counting down to when we will have the last case of polio. Rotary's new campaign will launch soon, so check for information at www.endpolio.org for the latest materials and information. You can get the poster shown to the right AT NO COST by ordering through shop.rotary.org. While you are there, order copies of the matching brochure for your members (also at no charge). Order now to get in time for World Polio Day on October 24. If you are interested in being in our District Indoor Ride to End Polio, please contact me. Our District Team came in 2nd last year -- in our first year of participating. You will need to raise funds (other than your normal club contributions) and plan on riding between November 13-20th. More information here. Best place to look for updated numbers is on the polio eradication website: www.polioeradication.org. Why does Ending Polio Matter? The Livestream event is on October 24 at 6:30 PM Central Time: http://new.livestream.com/rotaryinternational/worldpolioday. How to Make History from End Polio Now on Vimeo. What will your generation be the last to see? from End Polio Now on Vimeo. The Rotary-CDC Partnership from Rotary International on Vimeo.